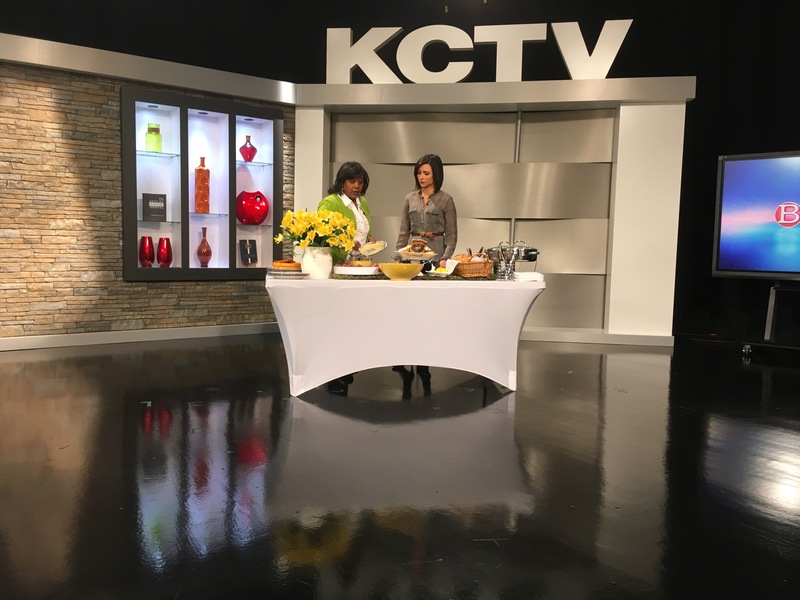 Dropping back in to share with you this morning’s “Better Kansas City” show segment on Building a Better Brunch Buffet! (Try saying that 3 times fast!!!) This quickie 3:45 piece focuses more on structure and execution than the actual dishes, but it’s kinda fun! And here are a few still photos! Chatting on the set with “Better Kansas City” co-host Gina Bullard. 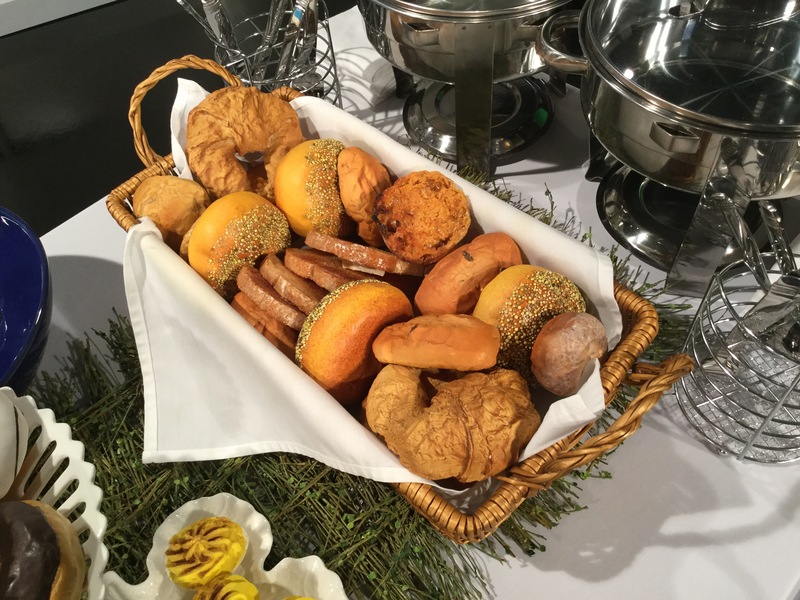 Linen-lined baskets are always a great way to display breads! Be sure to go both high and low on your food display. 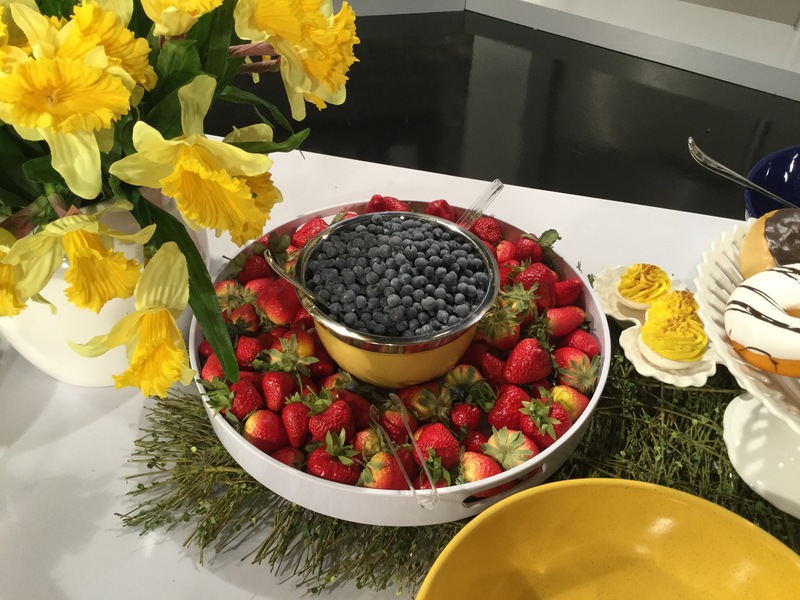 Lots of color comes to the table via the foods you choose. Have fun with it! Place plates in two stacks on the end of a double-sided buffet table. Pictured here: gorgeous cobalt blue, yellow and white “Mirandela” plates from Pier 1 Imports. 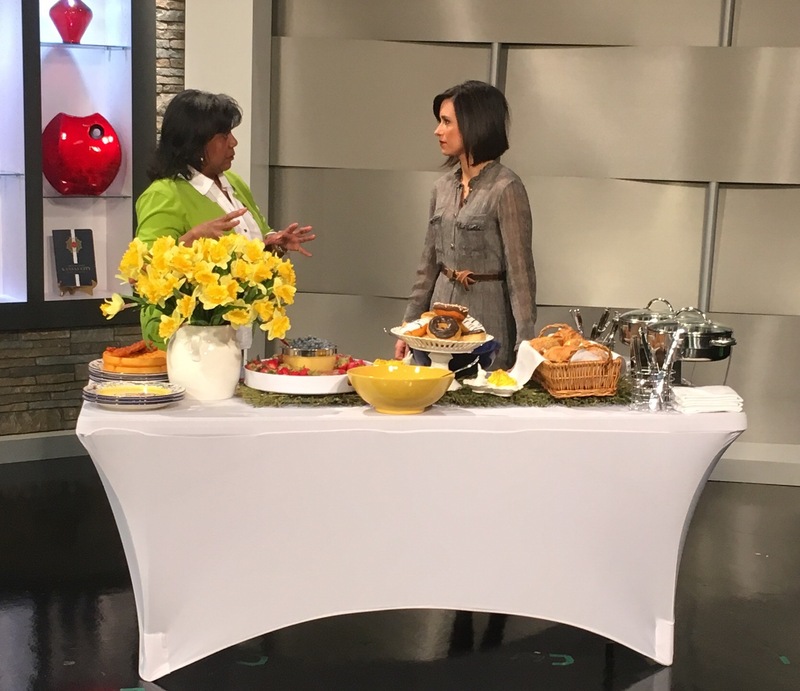 Here I used a single large centerpiece – a mass of Spring daffodils in a large white base – that adds another dimension of height, texture, and color without interfering with food service. Thank you so much for stopping in, and Happy Spring! 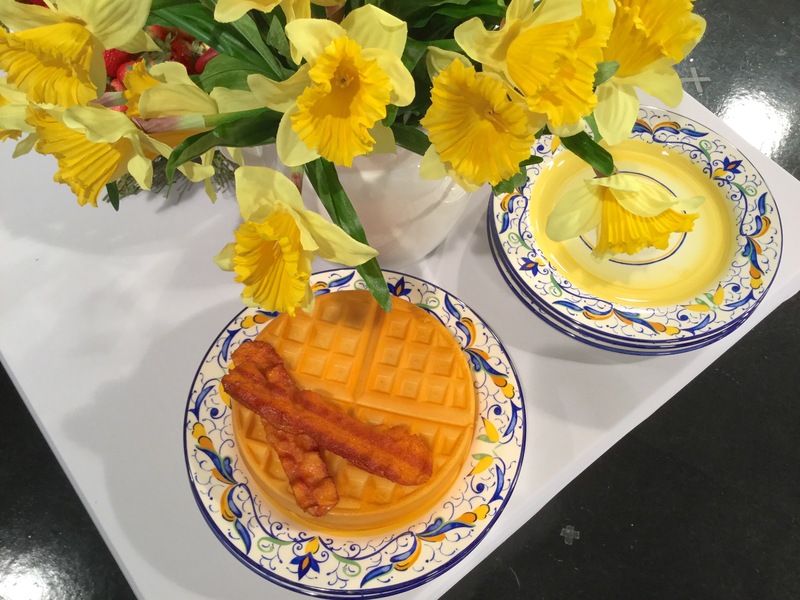 To see other Springtime brunch tablescapes on this site, click HERE (Springtime in Paris Buffet), HERE, (Easter Brunch), and HERE (Taste of Wine Buffet). 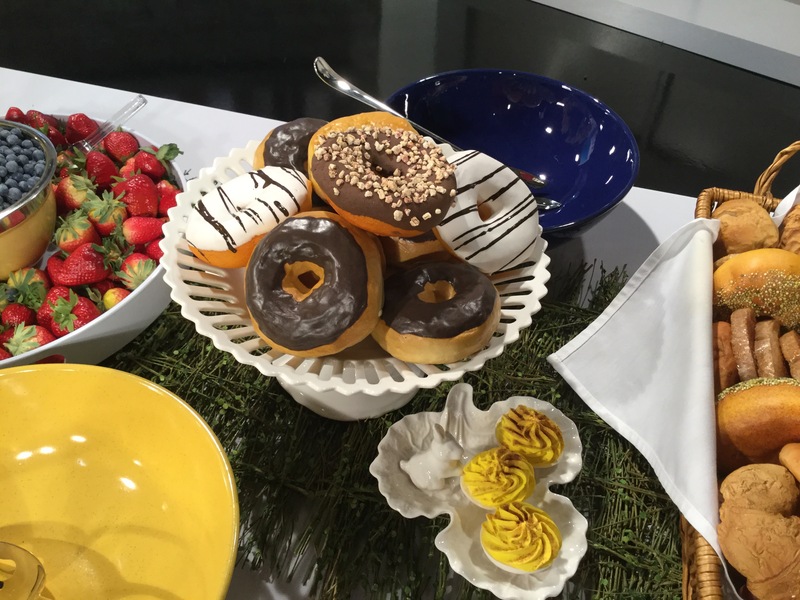 To see another tablescape using the Pier 1 “Mirandela” plates, click HERE.